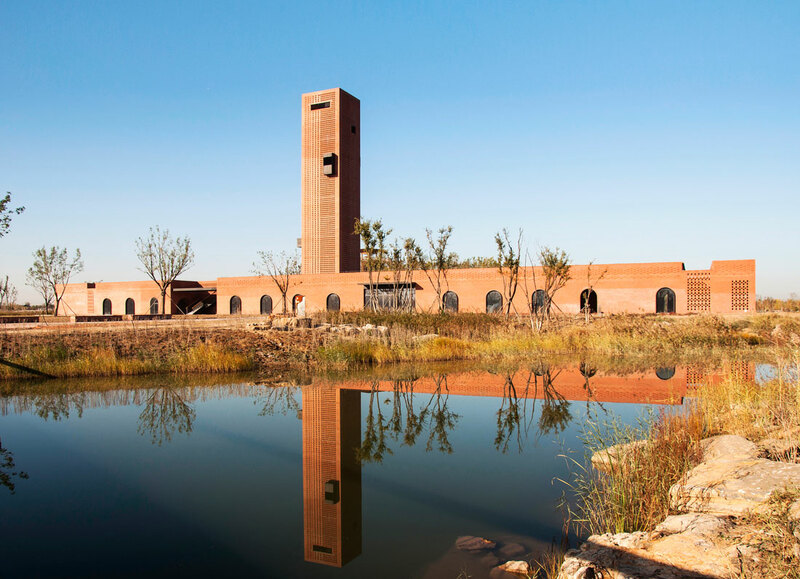 The project began with an abandoned Hoffman brick kiln, which was located between Hengshui wetland park and the city proper of Hengshui. It was formerly a place where nearby factories used to drain their sewage water. 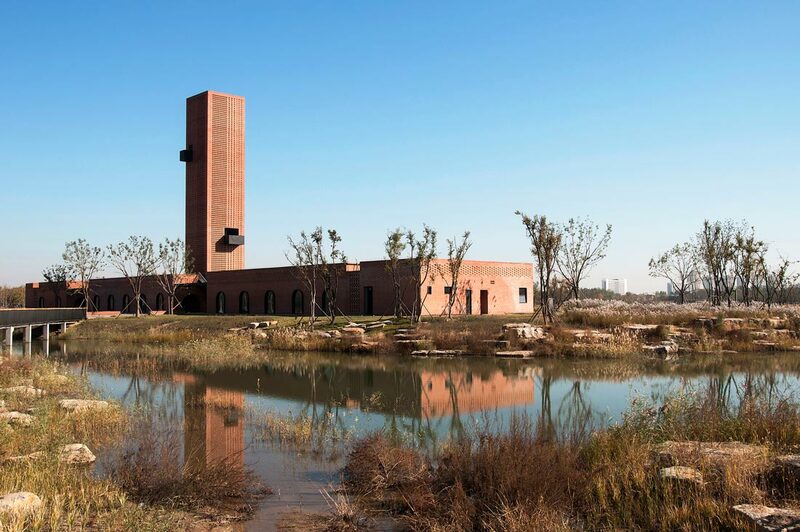 As the only building on a wetland site, the brick kiln was highly recognizable with its chimney. However, the Hoffman kiln was gradually abandoned due to the national policy that banned the burning of bricks out of clay as an environmental protection measure. The building was eventually demolished by the government due to its collapsing condition. 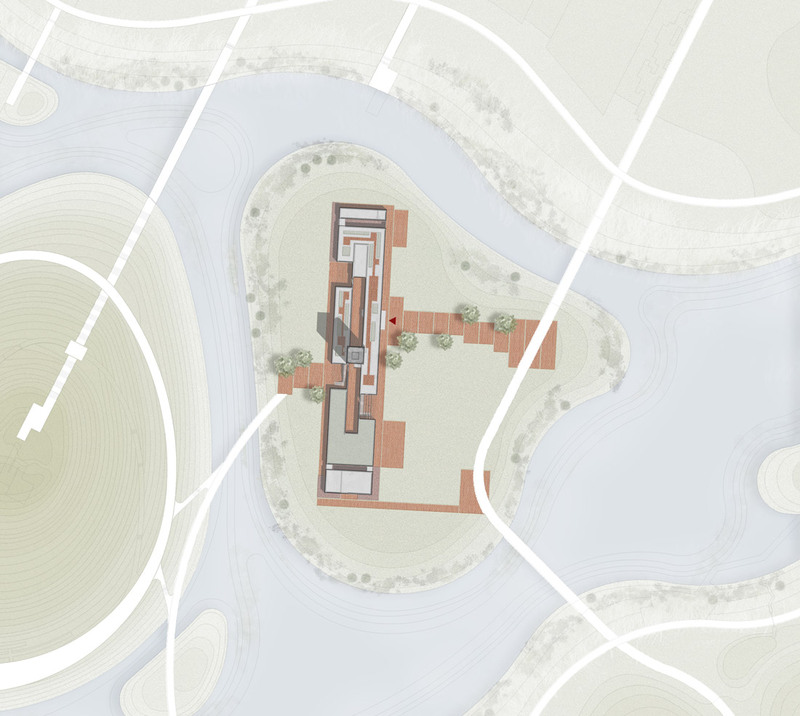 With the new governmental plan to convert the wetland into a botanic park, the project called for the design of a botanic art center on the site of the former kiln. We decided that the memory and history of the demolished kiln has to be recalled and remembered with the new architecture. We hope to connect the past and the present of the place with this project. The new botanic art center is mainly a gallery showcasing plants, pottery and floral art. The new architecture is therefore a public facility that contrasts with the old kiln, which was a introverted building intended purely for industrial production. With the intention of connecting to the spatial history of the place, the new botanic art center has a massing and spatial composition that reference the old kiln, but it is programmed with contemporary functions and experience. In doing so, the past and the future of the site are conceptually connected. The observation tower preserves the symbol and memory of the former chimney, and the accessibility of the tower allows people to “climb up the chimney”. While the old kiln was an industrial building with no public access, the new botanic art center opens to the public as a cultural center and exhibition hall. 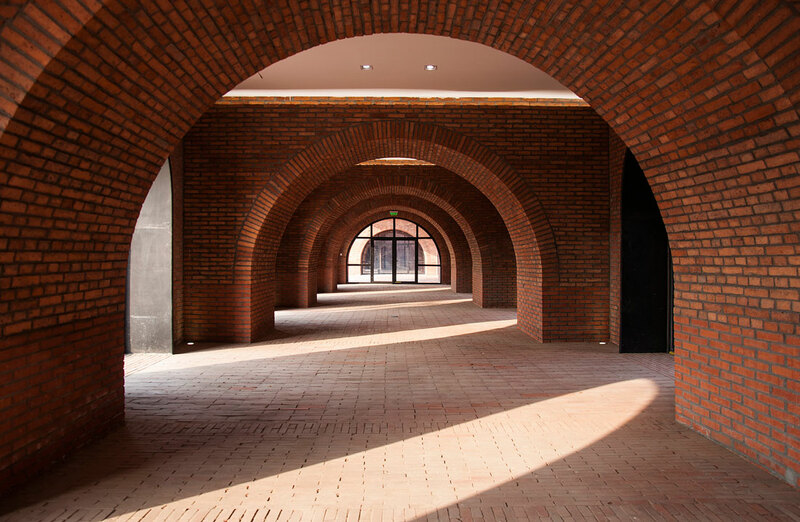 The spatial composition of the botanic art center conceptually refers to the old Hoffman kiln, with a looped and vaulted space surrounding a central courtyard. 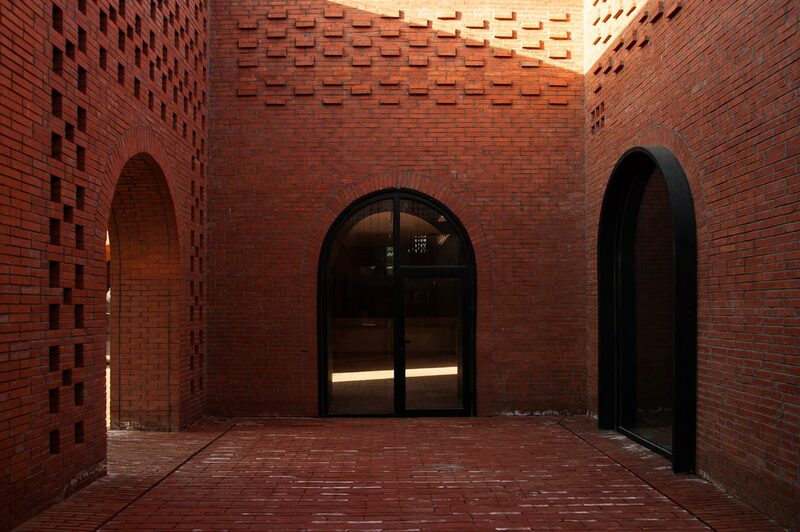 Along the vaulted arcade, several courtyards are proposed that break up the spatial continuity of the space, creating a blurred boundary between landscape and architecture, between interior and exterior, while also connecting the inner central courtyard with the larger surroundings. The roof garden of the podium also opens up the building and creates a unique viewing experience toward the outside. Courtyards are also proposed in between the restaurant and kitchen at the northen and southern ends of the building, which allows better natural light into the dining space. As opposed to the continous vault of the Hoffman kiln, the arcarde of the botanic art center is composed of a series of vaults, which show a visual and experiential progression of spaces in relation to light. The sequential setting of the vaults defines seprate but interconnected galleries, which house exhibitions and record the relationships between space, light and shadow. Every traditional kiln has a chimney, and many people have the idea of climbing on it. The proposition of an observation tower is reminiscent of the chimney and allows people to access that “chimney” with its four viewing platforms at different altitudes, offering different views and experiences of the botanic park. 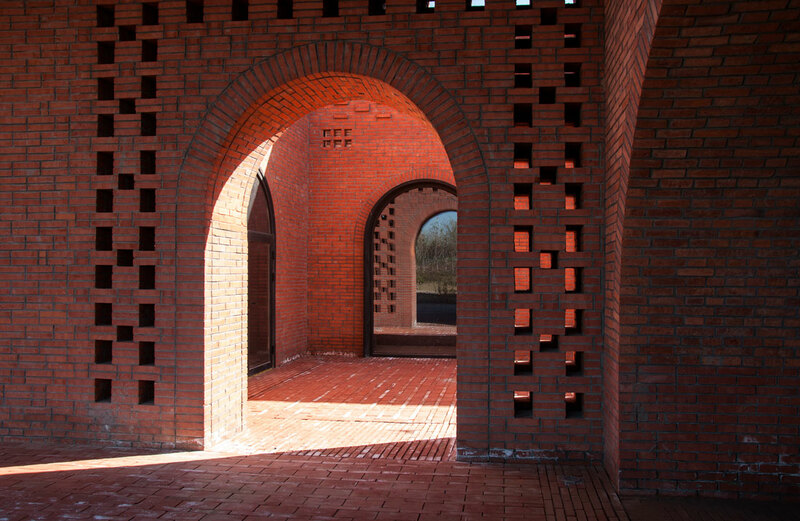 Brick was used as the main material throughout the architecture and becomes a medium to recall the lost materiality and texture of the place. 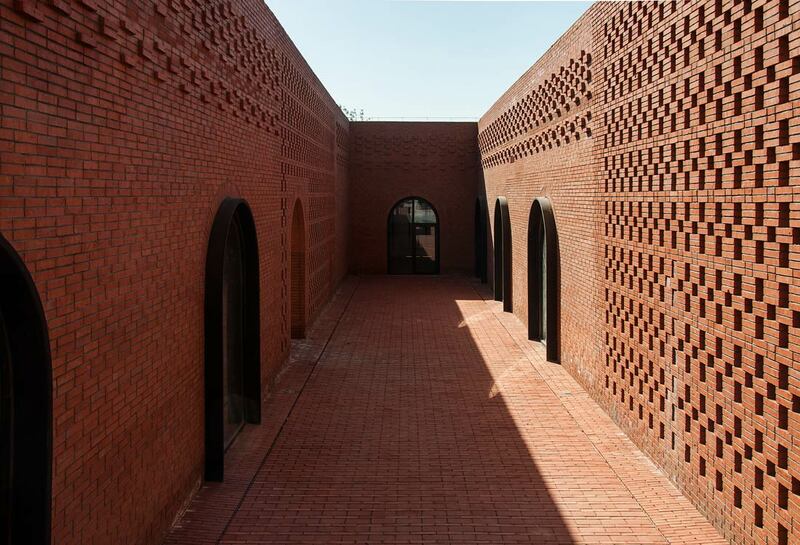 Various kinds of stacking patterns of bricks are used on the façade in order to generate translucency, which breaks the solidity and heaviness of the brick walls, allowing different light and shadow effects and promoting the sense of publicness. For instance, the façades of the interior courtyards are made more translucent in order to communicate the publicness of the space. 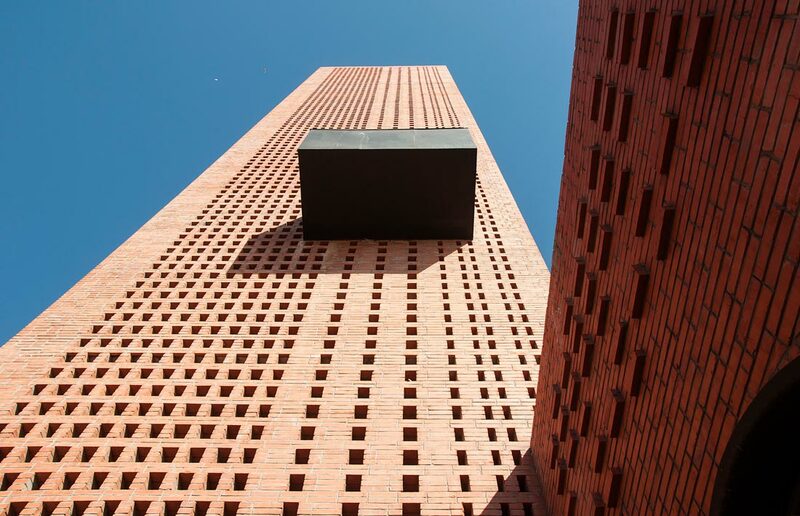 The observation tower is clad with bricks that are stacked more porously, in order to allow more light into the the tower and diminish its heaviness. 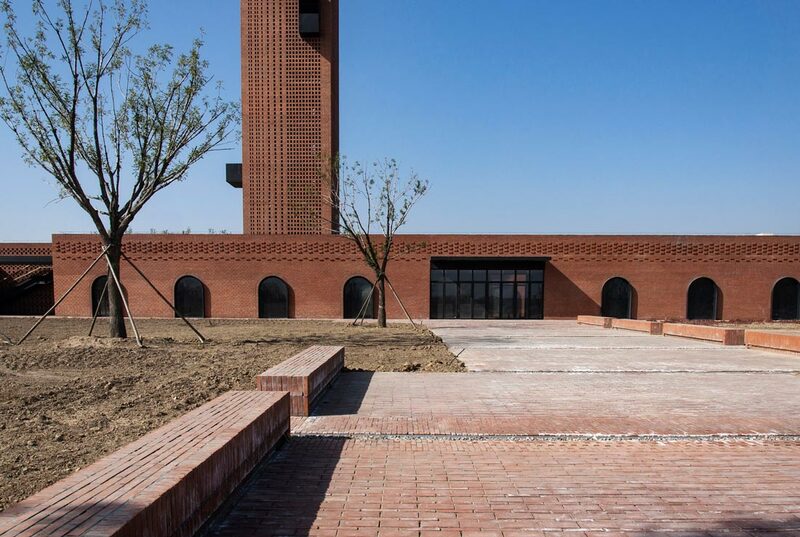 While the design of the Tower of Bricks makes a reference to a traditional kiln, the new architecture expresses a contemporary position in terms of the idea of publicness, connectivity to the environment and user experience. Emotionally, it extends local people’s memory of the existence of a kiln. It is an architecture that connects history with the future.